Apparently, famous peeps like to sell their homes to other famous peeps—who'da thunk it? Why do celebrities like to keep their homes in the celebrity circuit? Well, celebs often have star-sized needs like 14-car garages and closets the size of a private jet launch pad (which they also probably have). Celebs also often share swanky agents, who find it easier to keep sales as an in-house job. And, of course, most people who can afford to purchase a celeb-status home are in fact, celebs themselves. Go figure. Below is a juicy run-down of star-on-star real estate action. 1. Khloe Kardashian recently snagged the former spot of teen heartthrob and percussion aficionado Justin Bieber. Sold for just over $7 million, the Calabasas crib stretches over 9,214 square feet, with six bedrooms and seven bathrooms, perfect for whatever slew of Kardashians will surely be staying there. Some drama went down pre-sale; apparently sir Biebs had several run-ins with neighbors and law enforcement before deciding to hand the space over to K-Dash. While Bieber removed his skate-ramp on exit, the former Bieberland includes multiple garages and an exquisite outdoor pool and lounge area, perfect for a poolside Biebercue…err…barbecue! 2. In true house bounce fashion, Kardashian purchased Bieber’s home after selling her former Tarzana estate to "Big Bang Theory" star Kaley Cuoco for a sweeping $5.49 mil. The location for Kardashian's new home couldn’t be better. Why? 3. Several blocks away from the former Bieberland, Kourtney Kardashian recently purchased the six bedroom home of pro-footballer Keyshawn Johnson for $8.4 million. Do we smell a Kardashian neighborhood take-over? Perhaps! 4. Rapper Dr. Dre recently laid down $40 million on the four-acre Brentwood estate, formerly owned by supermodel Gisele Bündchen and New England Patriots hubby Tom Brady. A home fit for a supermodel, Dre can now catwalk down the halls of the five bedroom, nine bathroom, and if he's feeling extra ambitious, he can even make it down to the home's moat. Yes. A moat. 5. Hank Azaria, the voice of Apu on “The Simpsons,” bought his Pacific Palisades home from one of his castmates - Dan Castellaneta, voice of Homer and various other characters. Azaria purchased the 4,414-square foot, Tudor-style spot for $5.5 million. Jessica Simpson and Nick Lachey's former Calabasas home, famously featured in their hit show, "The Newlyweds." 6. Pop star and pseudo actress Jessica Simpson currently resides in Sharon and Ozzy Osbourne's 11,000 square-foot mansion for $12.4 million. What happened to her former home? 7. Simpson's former Calabasas home was purchased by “Malcolm in the Middle” star Justin Berfield. (No, not Frankie Muniz—the other “Malcolm” star.) This home was featured in Simpson and then-hubby Nick Lachey's TV series, “The Newlyweds.” The pair sold their home in 2006 after their split, which spurred Simpson's move into the Osbourne's mansion. 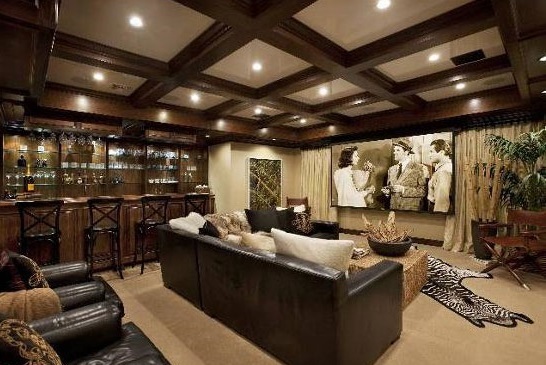 The home theater of The Osbournes' former Beverly Hills mansion. 8. The Osbourne's seem to jive on selling their home's to other celebs. In 2007, Christina Aguilera and her then-husband Jordan Bratman bought the Osbourne's former family home for $11.5 million. 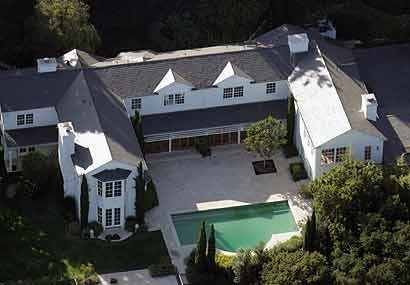 The six-bedroom Beverly Hills playpen was the set of the Osbourne's infamous television show creatively titled “The Osbournes.” Aguilera turned around and put the home back on the market in 2011. Who she sold it to, nobody knows. (Cue ominous tone). J-Lo's former digs now belong to the Stefani-Rossdales. 10. Gwen Stefani purchased J-Lo's old home in 2006 for a shiny $15.5 million dollars. The 10,000-square foot property includes a pool, tennis court and basketball court. From an aerial view, the home looks more like a high-security compound for the rich and famous than an actual home. 11. In 2000, Kirstie Alley bought the former home of Lisa Marie Presley for $1.5 million. What do the two women have in common besides a once-mutual sleeping space? They're both active Scientologists. The 5,200-square foot pad in Clearwater, Fla. is a mere stone’s throw away from the Church of Scientology education center. Coincidence? We think not. 12. Actress and ultra-babe Olivia Wilde currently slumbers in the former space of tween sensation Joe Jonas. To make matters more fun, Jonas claimed his old home is ghost-infested. Kudos to you, Wilde, for taking on a space haunted by more than just the angsty cries of teenage girls. 13. Funnyman Adam Sandler bought Kurt Russell and Goldie Hawn's Southern California home for $12 million in 2004. The home has seven bedrooms and nine bathrooms. Not too shabby. Kelsey Grammer's Bel-Air loss is Salma Hayek's gain. 15. Jack Black snapped up the former home of Flea, the bassist for the Red Hot Chilli Peppers, back in 2011. The solar-powered seven bedroom Los Feliz spot went for $8 million, and includes a gourmet kitchen, sweeping staircases, appealing outdoor living nooks and an impressive wall of books. 16. “Glee” creator Ryan Murphy gleefully grabbed a 2,100-square foot beach house in the La Costa area of Malibu for $6.6 million back in 2011. Who used to park their boots in the Malibu bedrooms? None other than actress Charlize Theron and Irish actor/director Stuart Townsend. For a closer look at some of these Great Spaces, head on over to rismedia.com! 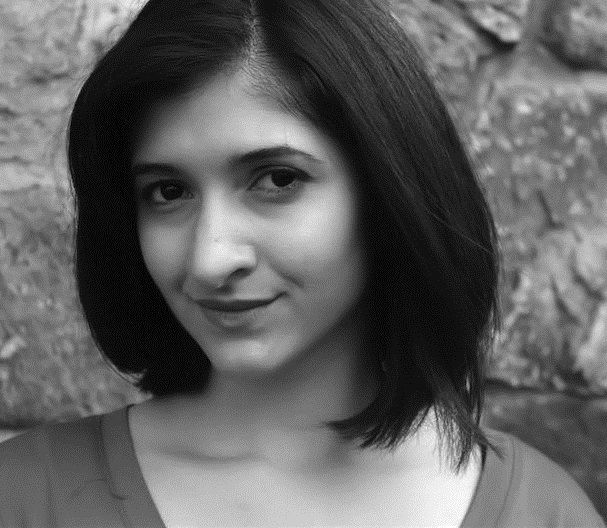 Zoe Eisenberg is RISMedia's Associate Editor. Instead of snagging herself a luxury estate stocked with three pools and a tennis court, she'd rather own a 400-square-foot tree house.